Self Employed & Pregnant? Let's talk Maternity Allowance. I'd just like to start this post by saying I AM NOT PREGNANT. I am however self employed and was, when pregnant with my little boy Arthur back in 2015. When you're pregnant there are a million things that go through your head and I'm guessing one of the most common worries for many of us, is money. I have to admit, I'd never really thought about what I was going to do money-wise if I had a baby because it wasn't something I could see happening any time soon. Then, of course I got pregnant and had to start looking into it all and that's when I came across Maternity Allowance! It's something that really helped me as a single, self-employed new mummy and so I wanted to share a little information about it for any one who is perhaps in a similar situation and evaluating their financial options. I think HMRC will give you chance to catch up on your Class 2 National Insurance if you are behind with your payments or they are incomplete. It's worth contacting them about this to find out for sure. How much Maternity Allowance do you get? As with most things, the amount of money you will receive in maternity allowance all depends on your circumstances and the money you earn. Providing you have paid Class 2 National Insurance, you'll usually either get £145.18 a week or 90% of your average weekly earnings for 39 weeks - depending on which is less. The money can be paid into your bank account every fortnight or every four weeks, depending on your personal preference. I think I had my Maternity Allowance (£145.18 per week) paid fortnightly as this suited me better. Is Maternity Allowance easy to apply for? If you want to apply for Maternity Allowance as a Self Employed worker, you'll need to fill out a form and can do so any time after you are 26 weeks pregnant. The form is called an MA1 (available on the GOV.UK website) and you can either print it off, fill it in and post it or fill it in online. Providing you have proof of your income (e.g. Self Assessment Tax Return) and proof of your baby's due date (this could be a letter from your midwife or a MATB1 certificate) then you should find applying for Maternity Allowance pretty straightforward. Your midwife should know what the MATB1 certificate is, as it's a document that is use to verify your pregnancy and confirm the due date. You should get a letter with their decision to approve or reject your claim with twenty four days and if you are eligible you'll just have to confirm the last day you plan to work. If you run into any problems or have any questions, then it's worth ringing the Maternity Allowance Contact Number for extra guidance. I'm simply speaking from my own experience and the information I found elsewhere online. Do you have to apply for Maternity Allowance? Maternity Allowance is optional. If you want to continue working in the 39 week period, then you will be unlikely to receive Maternity Allowance, as according to GOV.UK you are only entitled to work for 10 days on Maternity Allowance, which are called 'keeping in touch' days. Any amount of work done on a single day, whether it is a couple of hours or a full day's work is counted a one of your ten KIT days. I don't think you have to provide any proof of earnings for these days but it's worth keeping track of the days you do work just in case. If you decide you want to work more, you can always cancel the remaining of your Maternity Allowance. It's worth using these days to check in on existing clients that have decided to stick around and ensure they know when you will be back working again. Will Maternity Allowance benefit your family? Maternity Allowance isn't a lot of money, so you may feel that you would rather work, however as a single parent (even with amazing support and help with Arthur from my parents), the idea of carrying on working as I had done before, or even just working part time after his birth, just wasn't possible for me. Of course, everyone's situation is different and you have simply got to do what is right for you and your family. 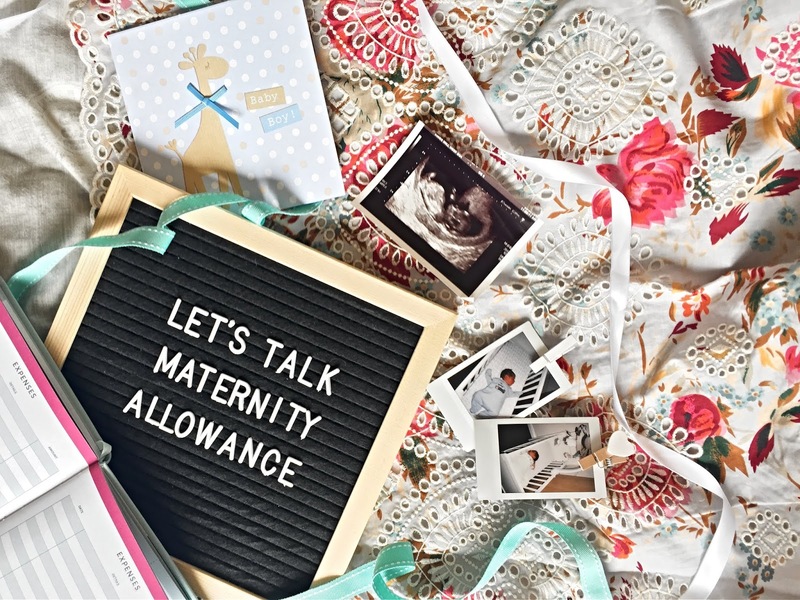 I do believe Maternity Allowance is a huge help for those self employed, who wouldn't otherwise be able to earn money at the end of their pregnancy or in the weeks following their baby's birth. So it may be something you want to consider looking into yourself if you are pregnant and self employed.